"We wanted to make London stop – just for a moment." 8am on London’s main shopping junction. Oxford Circus is busy with marketing executives, retail staff ready for work, London’s morning rush hour of people entering the daily grind. The sun is shining over lanes of bus and taxi traffic. Everyone is en route. Enter The Future. Last Friday the United Nations were meeting in Bonn and somewhere, too low down, on their agenda was a discussion point: ‘how to save the world from climate change’. As the suits gathered in Bonn to wrangle about our future, a group of young dancers from London gathered around the junction at Oxford Circus. They’re a new element of The Future: The Future Flash Mob. We wanted to make London stop – just for a moment. We wanted people during their daily rush to ask why the kids are dancing in the midst of traffic; putting their bodies at risk to make people stop and pay attention. And so we stepped out into the junction – easy as that. Four of us – in high vis vests and with traffic cones that we’d found nearby – blocked four lanes of traffic. This cleared Oxford Circus for the dancers to enter and dance. We hit play on a portable sound system and everyone stopped and watched. As the song drew to a close the dancers picked up their bags and left the junction. They spoke to the crowd who had gathered. They gave them this message and told the crowd that in Bonn conversations are going on amongst the most powerful people in the world – conversations that will decide whether or not we will have a future. The crowd was concerned, for a moment, before they carried on to work. Through our dance we joined a conversation that we have been shut out of. The conversation about whether our generation will have a future that we can survive. 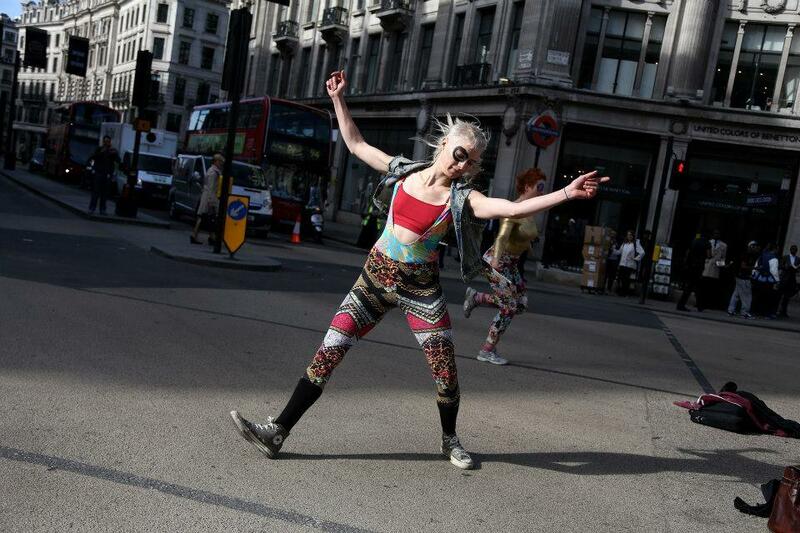 Through our dance we took Oxford Circus, and for a moment – we chose our future.